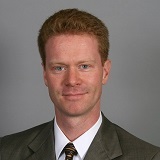 Jed Bailey is Energy Narrative’s Managing Director. He is an expert in emerging energy markets, specializing in market fundamentals, regulatory structure, and strategic planning. Mr. Bailey was previously vice president for applied research consulting and managing director for emerging markets at IHS CERA, where he was responsible for IHS CERA’s research and operations in Latin America and Asia. He has been widely quoted in publications ranging from The Economist and Financial Times to the Iran Daily and has appeared on Bloomberg Television and CNN International. Mr. Bailey holds a BSME degree from the University of Wyoming and an MS degree from the Massachusetts Institute of Technology.